Enhanced membership includes a “@mi-hemp.org”, “@mihemp.org” or (most common) “@mihemp.org” email address for 5 years (renewals will still be only $10.00/annum during this time) and both regular and enhanced membership includes access to a discussion board. Do you want to serve or do you know someone who does? Contact our Executive Director. With at least 14 years of Web design and corporate communications experience, Paul Pearson was a founding partner of MIHEMP with Everett Swift 4 other dedicated activists. His main profession is owner of a medical transportation company, although he is also a phlebotomist and assistant nurse. Dedicated to the cause, his hemp-related appearances in media include Casper Leitch’s “Time 4 Hemp” podcast, The Peter Werbe Show on Detroit’s WRIF Radio, Fox-2 News Detroit and others. His writings have have appeared in over 20 magazines and newspapers, including the New York Times, Life, Nature, American Atheist, Skeptic, and others. His fiction and literature have been printed in 2 books of collected fiction and essays. He is also a spokesperson for several organizations devoted to state/church separation issues, edits 3 blogs, runs his Website construction and media/graphics company, is an activist for several causes, and lives with his wife in Houston, TX. 1. 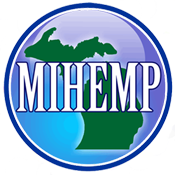 The current status of laws concerning Industrial Hemp in the state of Michigan and in the United States at large. 2. To educate the public, State Government, agricultural community and business leaders about the potential benefit Industrial Hemp could have on the Michigan economy, farming and manufacturing environment. 3. To promote the market of Hemp products in Michigan and help venders of hemp products connect to a customer base. A. The membership shall be divided into Active and Associate Members. 1. Only individuals whose chapter dues are up to date or who have performed an agreed upon service are considered active members. 2. All others interested in furthering the purpose of the Organization, including paid members of the Organization who are not Active Members, shall be Associate Members. We welcome volunteer efforts and contributions from nonmembers as well as Members. However, Associate Members may not hold office, vote, preside, officiate, or solicit funds on behalf of the organization. They may do so with the expressed consent of the board as an Adviser (see below). B. It shall be the option of any Member to have his or her name listed on the open rolls of the organization as John or Jane Doe (or a variation) and to be listed in a closed membership book for the purpose of Membership Certification. This book shall be available only to officers of the Organization, or to those authorized by full Board approval for a specific purpose and/or time. 1. General Powers. The business, property, and affairs of the Corporation shall be managed by the Board of Directors. The terms “Director” and Board Member shall be synonymous. 2. Number. There shall be not less than three (3) nor more than seven (7) directors on the board as shall be fixed from time to time by the Board of Directors. 3. Tenure. Each Director of the Corporation shall hold office until the Director’s death, resignation, or removal. 4. Resignation. Any Director may resign at any time by providing written notice to the Corporation. The resignation will be effective on receipt of the notice or at a later time designated in the notice. 5. Removal. Any Director may be removed with cause by the remaining Directors on the Board. 6. Board Vacancies. A vacancy on the board may be filled with a person selected by the remaining Directors of the Board. 7. Annual Meeting. An annual meeting shall be held each year, no more than 12 months should lapse between annual meetings. If the annual meeting is not held within the required time the Board shall cause the meeting to be held as soon thereafter as is convenient. 8. Regular Meetings. Regular meetings of the Board may be held at the time and place as determined by resolution of the Board without notice other than the resolution. 9. Special Meetings. Special meetings of the board may be called by the President (a.k.a. Executive Director) or any two Directors at a time and place as determined by those persons authorized to call special meetings. Notice of the time and place of special meetings shall be given to each director in any manner at least three days before the meeting. 10. Waiver of Notice. The attendance of a Director at a board meeting shall constitute a waiver of notice of the meeting, except where a Director attends a meeting for the express purpose of objecting to the transaction of any business because the meeting is not lawfully called or convened. In addition, the Director may submit a signed waiver of notice that shall constitute a waiver of notice of the meeting. 11. Meeting by Telephone or Similar Equipment. A Director may participate in a meeting by conference telephone or any similar communications equipment through which all persons participating in the meeting can hear each other. Participation in a meeting pursuant to this section constitutes presence in person at the meeting. 12. Quorum. A majority of the Directors then in office constitutes a quorum for the transaction of any business at any meeting of the board. Actions voted on by a majority of Directors present at a meeting where a quorum is present shall constitute authorized actions of the board. 13. Consent to Corporate Actions. Any action required or permitted to be taken pursuant to authorization of the Board may be taken without a meeting if, before or after the action, all Directors consent to the action in writing. Written consents shall be filed with the minutes of the Board’s proceeding. 1. General Powers. The Board, by resolution adopted by a vote of a majority of its Directors, may designate one or more committees, each committee consisting of one or more Directors. The Board may also designate one or more Directors as alternate committee members who may replace an absent or disqualified member at a committee meeting. If a committee member is absent or disqualified from voting, then members present at a meeting who are not disqualified from voting may, whether or not they constitute a quorum, unanimously appoint an alternate committee member to act at the committee meeting in place of the absent or disqualified member. All committees designated by the board shall serve at the pleasure of the Board. A committee designated by the Board may exercise any powers of the board in managing the Corporation’s business and affairs, to the extent provided by resolution of the Board. (e) fix compensation of the Directors for serving on the Board or on a committee. 2. Meetings. Committees shall meet as directed by the Board, and their meetings shall be governed by the rules provided in Article III for meetings of the Board. Minutes shall be recorded at each committee meeting and shall be presented to the Board. 3. Consent to Committee Actions. Any action required or permitted to be taken pursuant to authorization of a committee may be taken without a meeting if, before or after the action, all members of the committee consent to the action in writing. Written consents shall be filed with the minutes of the committee’s proceedings. These are descriptions of duties and are meant to be used as guidelines and not absolute and specific limitations or obligations of responsibility or authority. The Board shall endeavor at all times to act as a team and be ready and willing to share information and duties. To this end Active Members shall cross-train and assist wherever possible. 1. Director (a.k.a. Executive Director): is the spokesperson for the organization. The Director presides at all meetings, and promotes an effective liaison with other organizations, politicians, the media, the public, and the office of MIHEMP. 2. Assistant Director: serves as Acting Director when the Director is unable to do so, and assists the Director in his or her duties. 3. Secretary: keeps and safeguards both open and closed Membership rosters, takes the minutes of meetings. 4. Treasurer: is responsible for accounting, banking and disbursement of funds. The By-Laws may be amended by a majority vote of the Board of Directors present in person or by proxy at the annual meeting, at a special meeting called for that purpose, or by written consent.